This galaxy isn’t one that needs introduction, but if you aren’t familiar with it, let me refresh your memory. 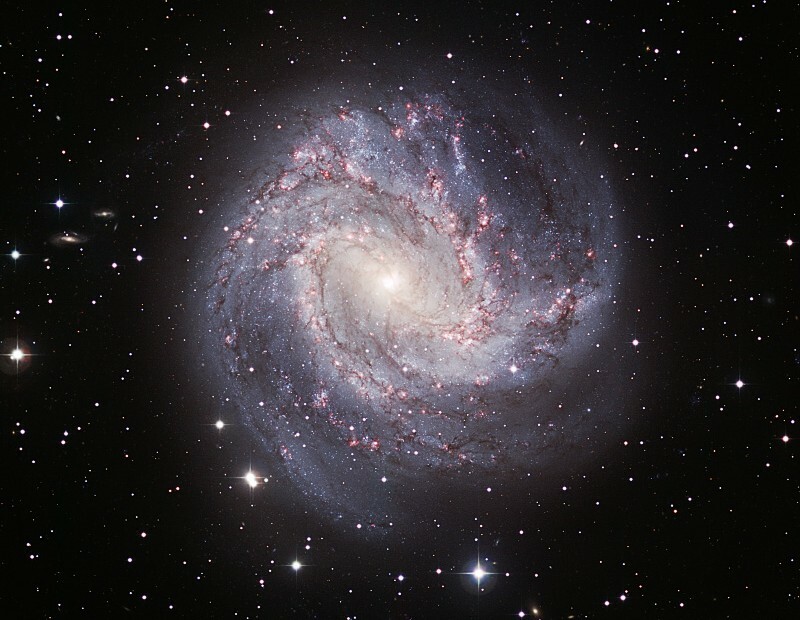 Meet Messier 83, more popularly known as the Southern Pinwheel Galaxy, a small but, beautiful spiral galaxy that lurks 12 million light-years from Earth in the constellation of Hydra. Despite only spanning approximately 40,000 light-years from ‘tip-to-tail’ (our own galaxy is about twice as large), this stunner has an impressive number of ruby red patches, which signify star formation activity is taking place. The gas comprising the colorful, sprawling spiral arms is highlighted by the thick blankets of interstellar dust that are intertwined. Together, the gas and dust lead away from an impressive central core. 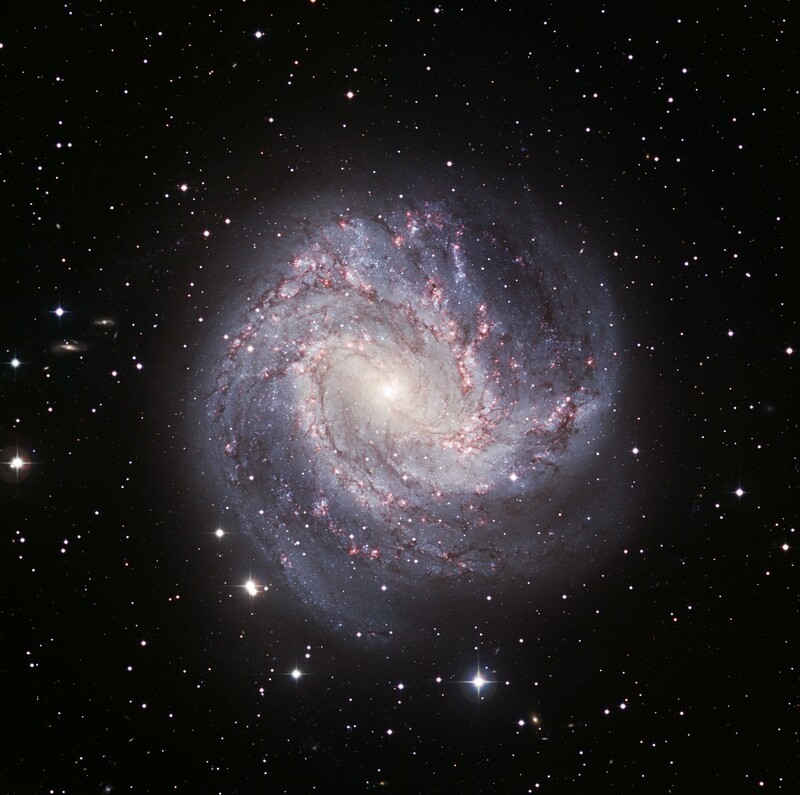 On that note, astronomers have long known that M83’s central core is a heavy source of x-ray emission. It’s believed that the emissions are coming from an extensive collection of pulsars, neutron stars and black holes, many of which popped up following a starbust of some kind. Usually, these bursts happen when galaxies merge with their neighbors, or when they absorb a satellite galaxy. This image itself is a color composite, based on archival data collected by the ESO’s Wide Field Imager Camera. The reprocessing was carried out by Davide De Martin.